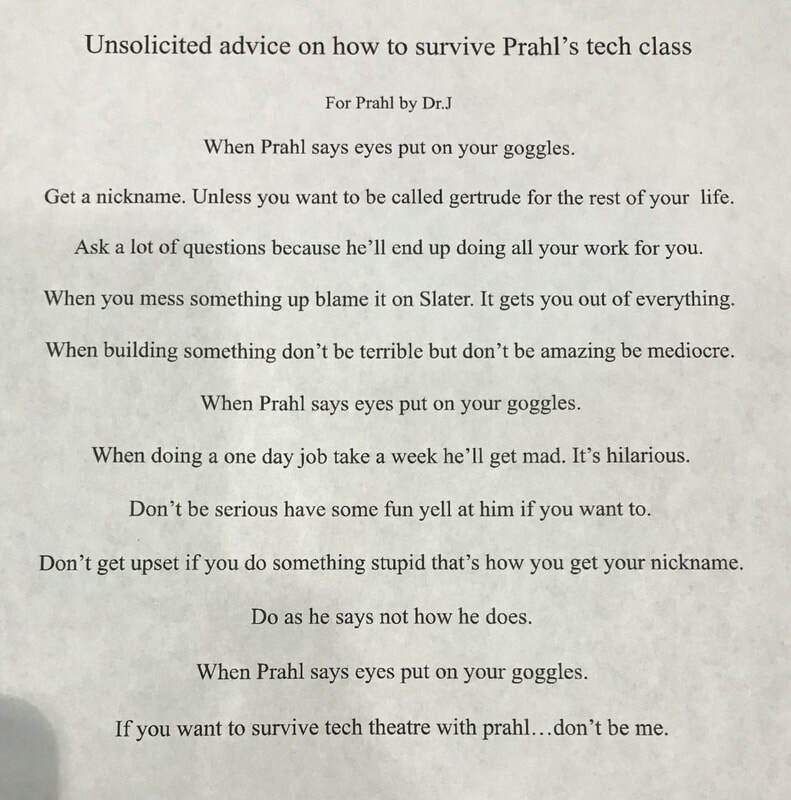 - Mr. Prahl is our sponsor in charge of tech crews for each production. ​where students can sign up to be on a crew for the production. -From those crews, a select few students will be chosen to be on Run Crew for the nights of the performances.